An Evening of Creepy Classics – October 29, 5:30 and 9:00: Join organist Wil Smith, soprano Sarah Eaton, and digital artist Nathan Selikoff for a unique multimedia evening of creepy classics. 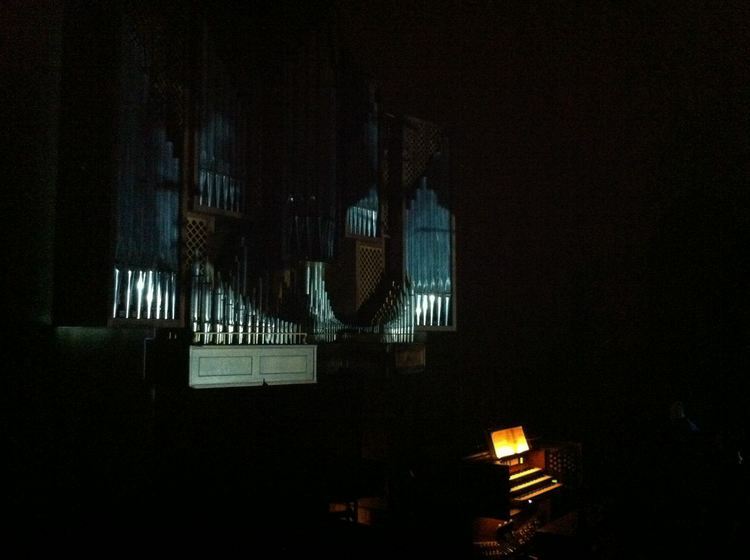 In a pitch-black Central sanctuary, organ works from your favorite dearly departed composers will be performed (along with some works from the living) while live video art is projected onto the organ pipes. There is one show especially for kids (with kids activities and pizza) at 5:30, and a longer version for adults at 9:00. $20 suggested donation per family for the 5:30, and $20 per person for the 9:00.